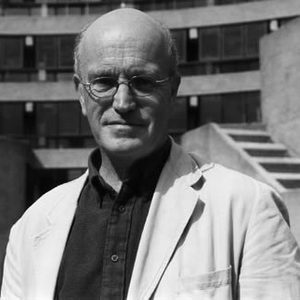 Colin Marshall sits down in Hackney, London with Iain Sinclair, author of numerous books, all rooted in London and all operating across the spectrum of fiction to nonfiction, including Downriver, Lights Out for the Territory, London Orbital, and most recently American Smoke: Journeys to the End of the Light. They discuss the momentarily impossible-to-define issue of Hackney’s identity; the need to walk the neighborhood to know it — but to then do it your whole life; the re-making of the landscape in Hackney as elsewhere in London; the surprisingly functional London Overground’s only partial integration into the city’s transport consciousness; the way commemorative plaques “fix history,” which forces you to find the reality for yourself; the operation of London hierarchies as he witnessed it in his book-dealing days, and how he then came to see uniformity set in; why students today never seem to get all the way through his books, drawing instead “a series of cultural cartoons” from excerpts and immediately applying them to their own project; why he’s never had the sense of writing about London, per se, a subject to which he’d never expected the public to connect; the way the city’s irrationality tends to drive those who write about into the realms of fiction; the criticism he takes for including “too may references” in his books, and his readers’ freedom to pursue those references or not; the involved pub conversation that ensued when a Frenchman walked up to him and asked, “Is this London?”; what might have counted as the center of London in the seventies, and what might now; what results from asking, “What is this the center of?”; Geoff Dyer’s years on Effra Road, and the associations its very name brings to mind; how he knows when one of his books (or the latest continuation of his “one big book” of a career) has come to an end; taking on another country in American Smoke, and discovering the disappointing London in the mind of the Beats; and his notion the he has only ever “articulated aspects of place,” still the most robust nexus of interests and influences available. This was written by Colin Marshall. Posted on Saturday, April 19, 2014, at 7:31 am. Filed under London, Notebook on Cities and Culture. Bookmark the permalink. Follow comments here with the RSS feed. Post a comment or leave a trackback.